About Claudio Borile, Data Scientist at aizoOn s.r.l. 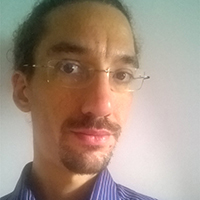 Claudio Borile is a Data Scientist at aizoOn s.r.l., a technology consulting group active in Europe, the U.S. and Australia, working on complex networks analysis and data-driven modeling in Big Data. In 2016 he was awarded a Lagrange project research grant from the I.S.I. foundation in Turin, Italy, for an applied research on Big Data and Network analysis on social media.